Trade shows are prime opportunities for your business to reach potential clients. 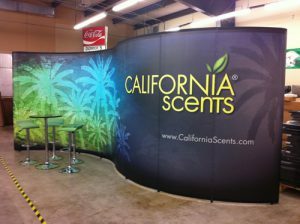 When done right, customized trade show displays can convey your targeted messaging in a visually cohesive presentation--helping you attract the right customers. Let us help you build an effective visual presence for your next event. Our expert team will work with you to create a comprehensive trade show display that presents your message in an organized and well planned way.